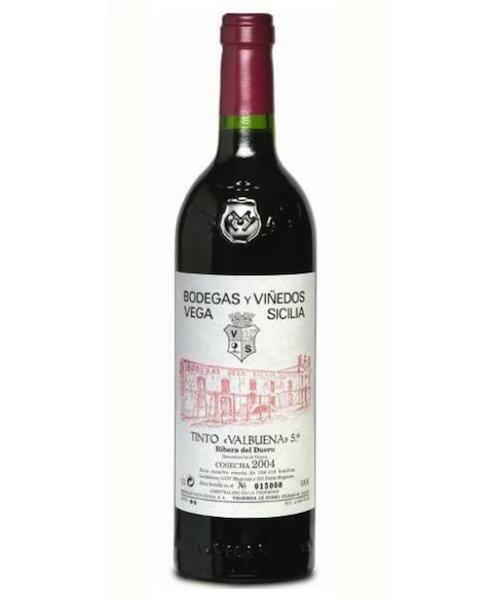 The 2006 Vega Sicilia Valbuena 5º Año ($147.99) is a red wine made by Vega Sicilia from the region of Ribera del Duero that is based on the best of tinto fino, tempranillo, merlot, malbec and cabernet sauvignon of 2006 and has an alcoholic content of 14%. The 2006 Vega Sicilia Valbuena 5º Año is the ideal red to combine with hard cheese and foie. Uvinum users evaluate this red wine with 4,1 out of 5 points and in guides it has been reviewed: robert parker: 91 and peñín: 95. The Valbuena is obtained from plots located in concave slopes gently sloping down from the slopes of the moor. Valbuena shows us a direct and understandable vision of the greatness of this "terroir" with the direct influence of each vintage. The fermentation is done with indigenous yeast. After fermentation it aged in oak and bottle, five years, hence the name of the wine Valbuena 5th. French and American oak barrels 225l, new and used, vats 20,000l, a long and complex process for a great wine. - View: Vega Sicilia Valbuena 5º Año 2006 has a cherry-red color with orange trim. - Nose: The nose is dominated by ripe red fruit aromas. - Palate: The palate is very balanced, tasty, fresh and elegant. In passing, velvety, round, soft tannins and wood straight. Persistent. A great wine. PAIRING: Grilled Foie, ham and sausages, cheese, meat, cheese, red meats, grilled meats. A great wine, which is absolutely not to be considered as a second wine. One of the rare domain to put wines on the market after years of cellar aging. It can be drunk today or keep still in the cellar for a few years. We enjoyed it together with friends. An ideal wine to give as gift. Violet red colour of a young wine. On the nose, red fruit and green pepper. Licorice flavour. Shows an intense ruby ​​red colour red. Smells good, like a mix of raspberry und strawberry. A very long aftertaste. A 2016 goes fine with snacks. Bright ruby red colour with reddish brown highlights. 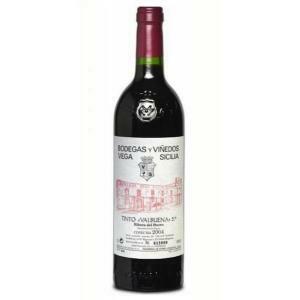 This Vega Sicilia Valbuena with its raspberry aromas might be considered as delicacy. It left a long taste. - View: Color bruised pillory. - Nose: spicy aroma, sweet spices, ripe fruit, complex, expressive, wax. - View: 2006 Vega Sicilia Valbuena has a bruised cherry color. - Nose: Nose: spicy, sweet spices, ripe fruit, complex, expressive, wax. If you want to buy 2006 Vega Sicilia Valbuena 5º Año, at Uvinum you will find the best prices for Ribera del Duero red wine. On sale at Uvinum, easy and 100% safe. We offer a large catalog of wine, beer and spirits which makes us the leading marketplace for wine, beer, and spirits in Europe with more than 38.000 customers trusting us.